Known as “The Gateway to Antelope Island,” Syracuse, Utah, is a vibrant community just north of Salt Lake City. Small-town charm abounds, and residents enjoy a diverse array of shops and restaurants, in addition to the exciting attractions below. From hiking to horseback riding, Antelope Island presents a wealth of outdoor experiences. Visitors can take advantage of 25 miles of backcountry trails for sensational views of the lake and surrounding scenery, or stroll the beaches and admire the Great Salt Lake. Wildlife is abundant and includes a herd of more than 550 free-ranging bison, as well as longhorn sheep, badgers and of course, antelope. This boutique winery specializes in fruit and honey wines, apple ciders and small-batch brandy. Ingredients are local and all natural, and The Hive has taken home six “Best of State” awards since it opened. Stop in for a tasting or some great gift ideas! Designed with famed Scottish courses in mind, this popular golf course offers rolling hills, challenging wetlands and a majestic mountain backdrop. Golf lovers will find several other courses are nearby to further hone their game. With 300 species and more than 1,200 animals, this incredible aquarium will keep visitors of all ages entertained for hours. Exhibits include hands-on encounters with stingrays, capybara, giant tortoises and more, and those daring enough can even hand-feed a giant pacific octopus and snorkel in the shark swim tank. 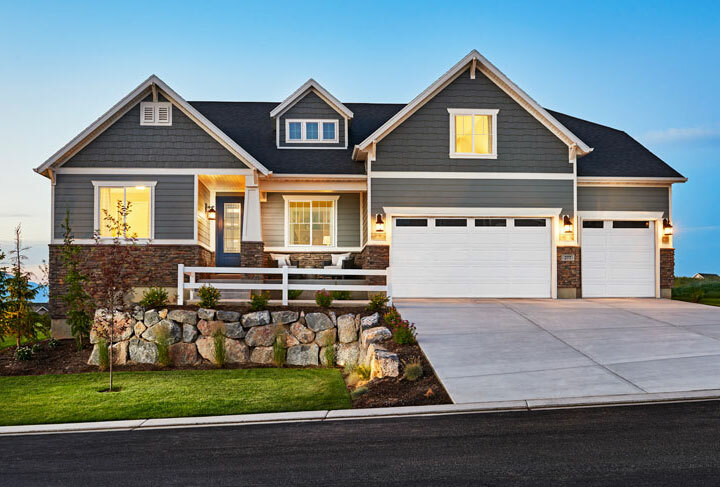 Explore Richmond American communities across Utah, where you’ll find beautiful new homes starting from the mid $200s.